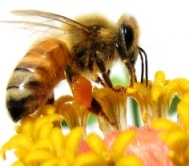 •	Honeybees have a natural drinking straw? •	They cannot live after stinging? •	There are various roles or jobs in a bee colony? Nurses, construction workers, drones, queen bees, janitors, guards, etc. Read all about it in "About Honey Bee - Facts that You Probably Never Knew", and on the same page, you must catch this incredible video clip on "bee dancing" – these little insects' sense of time, distance, and direction is awesome! The most exciting part of running the Benefits of Honey website is making friends from all over the world and learning in a melting pot of diversely colourful cultures and nationalities. The journey of sharing with one another our knowledge and experiences is just awesome! This honey pecan pie recipe was put up after Jenny Farris, a honey fan (also a great pecan enthusiast) from Lake Charles, La., tried it and gave a big thumbs-up for it. Do you fancy pecan pies? Are you looking for a delicious homely pie recipe for this coming holiday season? This might just be what you are looking for... more in "Awesome Honey Pecan Pie Recipe". Did you ever get confused by "C" and "kcal" on food labels? According to its food label, each of my favourite chocolate cookies contains "50kcal". 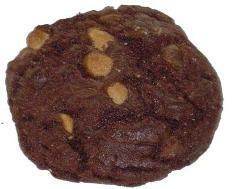 If "kilo" equates to the amount of "1000" units, does it mean that there are "50 000 calories" in the cookie? And if I were to follow the advice of my dietician and limit my daily calorie intake to 2000 calories, then counting the "50 000 calories" from the cookie just wouldn't make sense at all! Something seems to be very wrong in the way I read "calories".... 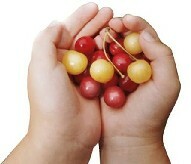 Solve this mystery in "Know How to Count Calorie?". While most of us probably know that honey is used widely in folk medicines, not a lot of people have heard or tasted "Medihoney" or UMF Manuka honey, a special variety of honey found only in the coastal areas of New Zealand. The UMF antibacterial property found in this honey is uniquely much more potent than most honey types. 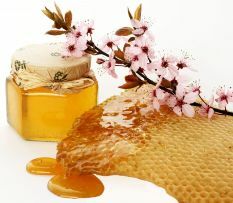 No wonder it's called "miracle honey"... Read full account in The Miraculous UMF Manuka Honey. Do you prefer brown sugar to white sugar in your coffee and tea? Most of us know that white sugar or sucrose just adds empty calories to our diet. Now, how about brown or raw sugar? They appear to be better, "more natural", and more nutritious than white sugar. But is it really true? Read full account in: "Don't Delude Yourself with Brown Sugar". Here's sharing with you some thoughts as we try to weigh the option of consuming organic honey and understand its affordability and nutritional, safety, and environmental benefits: "What Makes Organic Honey Different?". "I am diabetic. Can I take honey, which is so sweet? Is honey better or worse than table sugar?" These are frequently asked questions from diabetics. So, let's take a minute to respond to them in "Is honey allowed in diabetic diet?". There is a rising number of visitors to Benefits of Honey writing to me and asking this question. Let's take a good look at this topic together in "How to Test for Pure Honey". 1st: A beautiful, uplifting movie clip of a peaceful honey bee sanctuary which I visited: "My Honeybee Farm Visit"
2nd: A small collection of inspiring, reassuring wise words on health and living which might just give you the extra push and positive energy in life: "Inspiring Health Quotes"
The city-state of Singapore (where I reside) may have countless number of trees and flowering plants along the roads, but in this urban society with limited space, nature and environmental awareness is generally low. Children grow up with little contact and interaction with the animals, birds, wasps and bees, and many of them assume honey is made in factories. Adults don't explain to the kids where honey comes from; perhaps they also don't really know how bees make honey. Not surprising, honeycombs are a mystery to many people. Here's sharing with you my first encounter with honeycomb in "Why You Must Experience the Taste of Honeycomb". I came to know about "Royal Jelly" only about a couple of years back when saw my sister consuming it. Ignorant of what this bee product is all about (she just told me it was for longevity and youthfulness), I did a search and was surprised by my findings, especially the fascinating story of its origin. Known also as "milk of the bee", Royal Jelly has been hailed as a precious beauty secret of royalty and its benefits are extensively associated with healthy, youthful skin. As a potent antioxidant, it is taken as a health and energy tonic and used as natural remedy for a host of ailments. See what this special jelly is, where it comes from, what it contains and how it works in "Why Royal Jelly is So Extraordinary". Popular low-calorie, diet sweetener Splenda promises the taste of sugar without the effects of sugar consumption. Its "made from sugar and tastes like sugar" claim sounds like some sugar minus the calories, or some kind of skimmed sugar. If it's made from sugar, it's not strange that it'll taste like sugar, but what's surprising is it's absolutely void of sugar! That is, it's made from sugar but not made of sugar! Read full account in "Can You Drink Safely with Splenda?". One of the greatest fascinations of honey is its different floral varieties and flavors. Want to pick up some easy tips to taste honey like a Pro? 1) Before tasting, take a sniff of the honey aroma in the jar. 2) Spoon out a dollop of honey, less than an eight of a teaspoon. Put it in your mouth. 3) Allow it to dissolve on the front of your tongue. 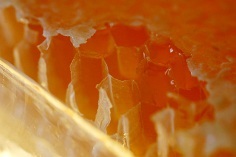 4) As the taste buds respond to the dissolving honey, you may smack your lips to sort out the full range of flavours. 5) The flavors are enhanced when the honey flows to the back and sides of your mouth. 6) Take time to observe the lingering aftertaste. 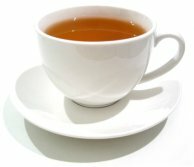 7) When you taste several honeys in a row, drink hot black tea in between to keep the palate clear. Unsalted crackers can also help restore your tasting apparatus. 8) Give your mouth time to figure the complexities in the honey before moving on to another sample. Read full article "Taste of Honey Varieties: Color and Flavor" and check how much you know about honey varieties – what constitute a honey variety, light versus dark colored honey, taste versus flavor of honey, etc. Take a peek into the case of Jane who has conscientiously cut down her fat intake by avoiding dairy products such as milk and cheese, and is eating a much lesser amount of starchy foods, like rice for each meal, and taking a lot more fruits and vegetables than ever. However, inconceivably, she is not getting any thinner, but in fact becoming fatter! What's the mystery here? I believe there are many Janes out there, who think that "low-calorie, high-carbohydrate" diets should do the trick of losing weight, and that fat-free carbohydrates will not end up as excess fat in the body. Well, like many people, I too had to address these serious misconceptions on my journey to learn about healthy eating. Catch the full story of the "eat-less-and-get-fatter" paradox in "Mystery of a Failed Weight Loss Diet" . Do you assume that foods claiming "100% natural", "all natural" are free of preservatives and additives, and hence are healthier to consume? Have you discovered that candies and beverages marked "with real fruit juice" labels may not be as wholesome as you have imagined them to be. Do you realise that "raw sugar" is not more nutritious than white sugar? 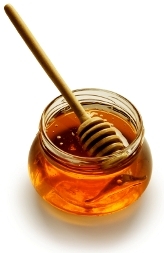 Do you know that "natural honey" can contain other substances such as maltose? Have you been told that most bottles of "raw honey" have undergone some kind of heating and processing? 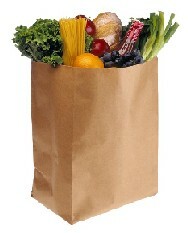 To become a more discerning shopper, read on in "Beware, the Natural Food Rage is on!" Did Albert Einstein ever predict this: "If the bee disappears from the surface of the earth, man would have no more than four years to live"? In the debate over the authenticity of this quote, can we also ask ourselves "how much do we really know about the world we live?" While we brag relentlessly about our knowledge on the advancement of science and technology today, have we blatantly and foolishly taken nature for granted? As we count down to 2008's Earth Day (on 22nd April) and weigh the tragedy of global warming, perhaps this discussion about Einstein and the disappearing bees is relevant. It's time to think about ways we can give back to our planet. Because food manufacturers and suppliers are becoming more creative in presenting information on the food label to the consumers, we really need to become smarter when shopping. Here, I have made a list of 8 simple pointers to get you started on seeing through the marketing hype on food packaging and becoming more sceptical when figuring food claims. 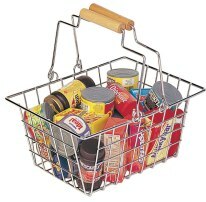 Don't get fooled by deceptive labeling such as "less", "natural", "reduced", "free", "light", and "diet". Be an avid food label reader. Begin with "Did You Know Reading Food Label Can Be So Tricky?". Do you know that these popular beliefs -- "Breakfast is the most important meal of the day. ", "Slimming down by starving and skipping meals isn't wise at all! "; "Build muscles to burn more calories. "; "Don't binge on junky, high-fat, processed foods! "; "Stress and sleeplessness are more harmful than what most people think. "; and "Always keep yourself hydrated." all have something to do with our body metabolism? To apprehend and lay hold of these truths, let's plunge straight into the details of: "10 Stupidest Ways to Make Your Metabolism Sluggish". When the term "raw food diet" is mentioned, many of us would probably immediately associate it with "sun-cooked" vegetables, fruits, seeds, and nuts mixed into a salad, but the fact is a lot of so-called non-vegetarian food is also eaten raw. For instance, the Japanese, perhaps the healthiest people on this earth, eat a substantial amount of uncooked seafood. Sushi, a Japanese raw fish preparation, today is a gourmet's delight. In other cultures, many appetisers like caviar, stallion salamis and oysters are all eaten raw, and are in fact considered delicacies. And in Africa, many beef dishes are eaten raw. It's believed that once cooked, food can lose up to 85 percent of its nutritional value. Hence they are best consumed in their original form to retain all the nutrients and active enzymes, which are known as "live food energy". (That's why we always emphasize "never cook or boil raw honey!") Raw-foodists have invariably reported experiencing major health improvements, including greater energy, weight loss, detoxification, and a sturdier immune system that better resists and recovers from many kinds of diseases. They reckon that one of the most important improvements resulting from a raw food diet is in the digestive system; raw food digests terrifically well, eliminating acid, bile and residual effects of digestion that are associated with a cooked food diet. As heat changes the makeup of food and the digestive system has to work harder and longer to process, the Rawists feel that cooking is unnatural and unnecessary, and that cooked food is "dead" and has lost most of its nutritive value. Read "Raw Food Diet, the Natural Way!" for the full account. A stirring research (2007) by the University of Bath, UK revealed that preschoolers' level of cortisol, a hormone which is released under stress, were already high in anticipation of entering school several months ahead of school start. What is even more surprising in this study is that the extroverted children seemed more anxious about starting school and facing a new environment; they had consistently higher levels of cortisol which tended to remain high throughout the day, possibly because their rash behaviour got them into more confrontational situations, compared to the shy, fearful children. End of "BuzZStop: Back Issues 2008". Back to "BuzZStop: News!"